Hi [INSERT YOUR FRIEND'S NAME HERE], Please check this out https://www.proactivehealthcare.co.uk/gut-health/dr-shades-bitters-no9?referrer=0 and get £4 off your first order (minimum order £30 excl. shipping). Thanks! when either works at less than optimal conditions the body is no longer able to properly break every chemical down and eliminate waste. Disease, age, and toxins in the body can all effect liver function, as over time processing toxins can be the very cause of liver troubles when there are more toxic substances than the liver can clean out. In order to aid the body detoxification supplements strengthen the body's natural cleansing systems and removes the damaging toxins. In turn this restores the liver to full health and gets the body back on track for removing any further toxins. The gallbladder is located directly below the liver. It stores the bile produced by the liver before the bile is passed on to the small intestine. The gallbladder provides the most direct pathway between the liver and small intestines, but it is not the only pathway and so people with gallbladder troubles can have it removed without negative health effects. To keep the gallbladder healthy the flow of bile needs to be maintained, making sure the pathways are clear and the bile doesn't harden. Dr. Shade's Bitters No. 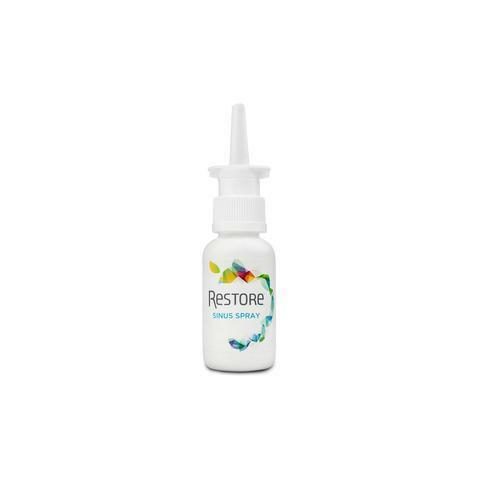 9 powerful liposomal formula is designed specifically to promote healthy gallbladder and liver functions for streamlined detoxification and better overall health. 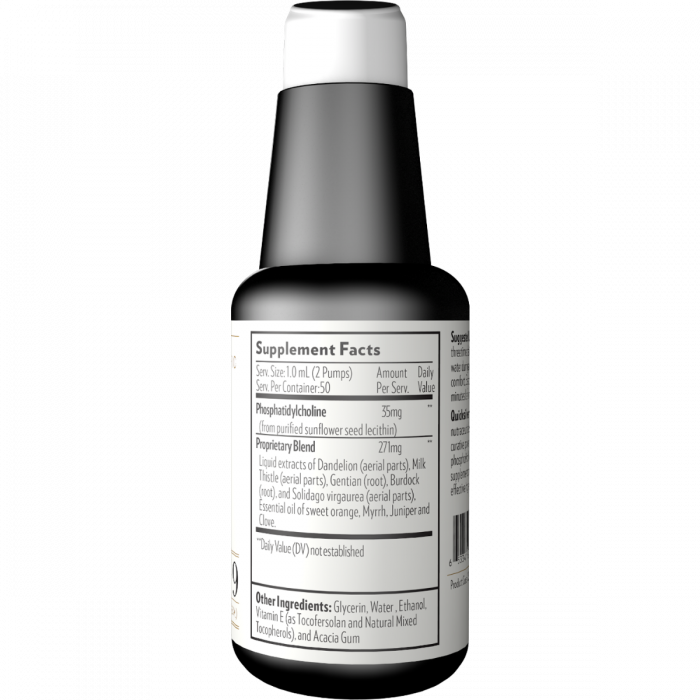 It is comprised of a proprietary blend of herbal ingredients, long used in tinctures and medicinal techniques of old. 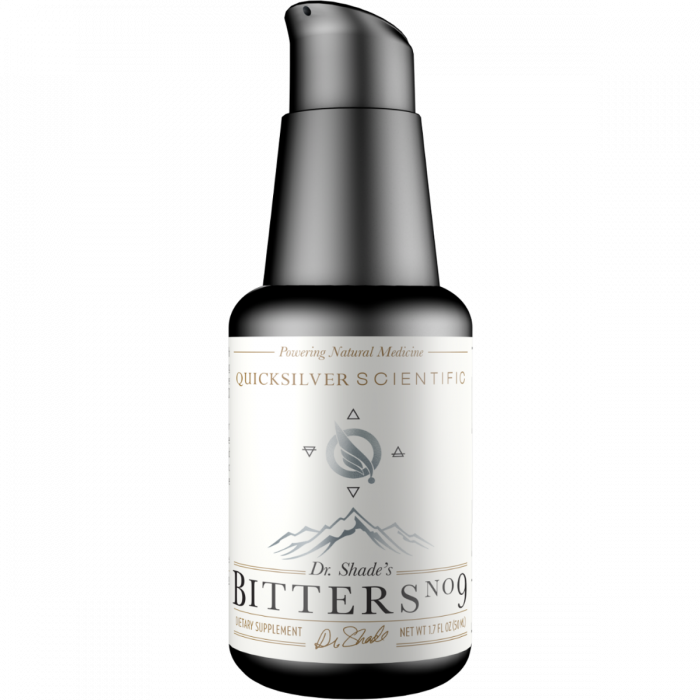 But the old ingredients have been scientifically studied, both individually and together, for this formula to be the best of nature and modern science. 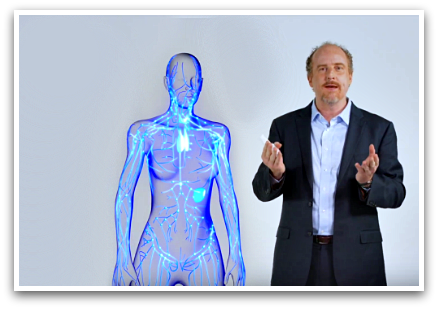 The liposomal delivery system allows the formula to bypass the digestive system and be readily absorbed by the body as soon as you take it, phospholipids make up the body's cells and so it recognizes the phospholipids around the formula molecules as natural and accept them into the cells. This delivery system avoids any of the formula being lost to digestive processes as well as allowing it to start working with the body immediately. Use 2-3 pumps in water or into mouth three times daily. Alternatively, use 2-3 pumps in sparkling water during and after meals and as needed for digestive comfort. 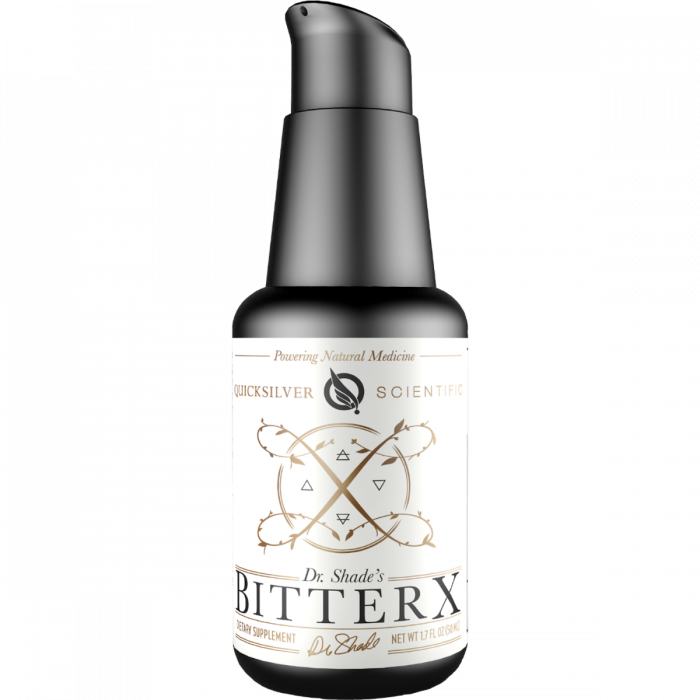 Use as part of Quicksilver Scientific's detoxification system for full body detoxification and improved total body health. 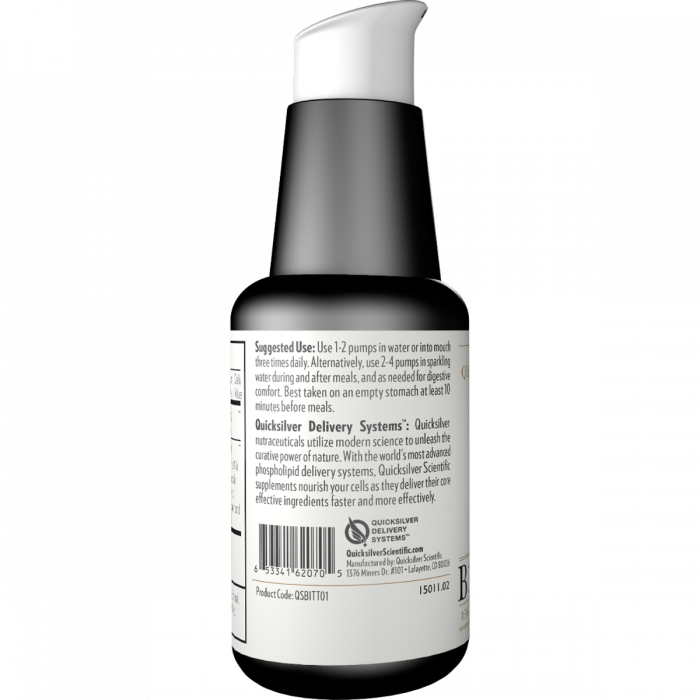 Other Ingredients: glycerine, Water, ethanol, vitamin E (as Tocofersolan and natural mixed Tocopherols) and acacia gum.